Ne zna se koja je kombinacija od koje lepsa! Each of these sets is perfect, you have a great style, you're great at what you do! Dobar stil ovde ne nedostaje! I love your style! Great recap! Ne mogu da ovojim ni jednu kombinaciju jer su sve fenomenalne! Zaista, sve pohvale. Mnogo mi se svidja crna torba sa slika. Such fabulous outfits. My favourite is second row right hand side oufit, too cute! bellissimo seti di outfit! !adoro quello in giallo! Ne zna se gde ste lepse! Yours looks are amazing, love all of them!! Visit our blog there is a new post of Cris waiting for you, you have to check it, I think you would like it!!! You have a style really really awesome!! Love all the looks! Amazing looks! You are stunning and have the best style sense e=v=e=r! You look in all that outfits amazing. Have a great day. the 2nd look is so fab and the black bag is genius! I just accidentally stumbled upon your blog, and I must say I love it. OMG!!! amazing recap! love all of them! You've got gorgeous style. Love your white coat! All the outfits look fabulous and you're so stunning! Nice! You've got a great sense of style, keep it up! Ma neeee, nije savrsen blog, i ne gleadm ga vec 98765 sati! Wow! All of them look awesome! Ma sta da kazem! Sve je vec receno! Sjajno!! wooooow, great outfits - you girls look sooo nice! All great looks! Loved them!! tek sam sad "naletjala" na tvoj blog i prava si inspiracija. nadam se da ćeš baciti pogled na moj, i naravno možemo se i pratiti ako želiŠ? You have no idea how much I love this recap ! Come follow me then let me know and I’ll follow back for sure! godh, great look dear! my favorite ever is the total white, the #1, so cool :)! I can't get enough of your bold chic style!! LOVE all of these outfits! Gorgeous!! Love the white looks on the top row, so stunning!! Hi!!! i love your looks! are awesome and you're very pretty in all pics!! Kisses!! Love this all white outfit. 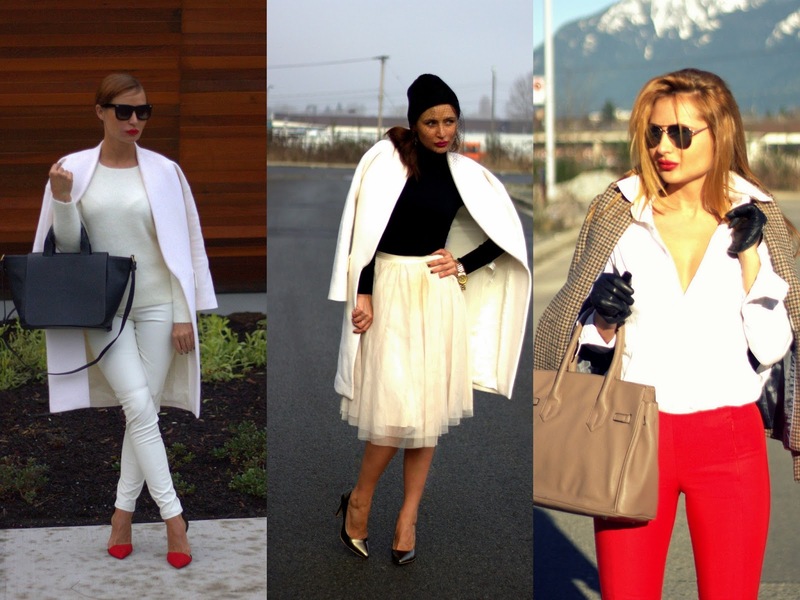 You sure know how to wear white in winter!! you have a very chic and elegant style. I really like this style recap you created. come by and see my great giveaway sweetie! I want those red pants! Amazing. love all these outfits! you look great in all white. following you, hope you stop by and follow me too! What lovely looks! Thank you for leaving a kind comment on my blog! I'll gladly follow you from Finland! Have some looks that I love! The pink dress love me like I'm hoping to find one! yellow heels (first picture, third bar). Great outfits! I love your style! J'adore ! you are beautiful style ! What a fabulous round-up of outfits! I always enjoy the striking color contrast between your pieces. Gorgeous. I'm completely in love with your white coat. Great outfits during these two months!! 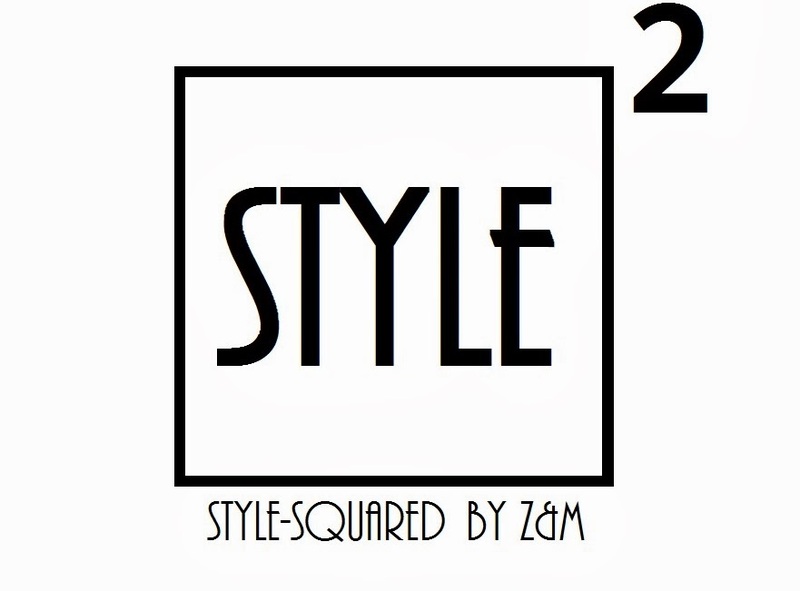 I love your both styles! Oh Thank's you! I love your styles !! !